The Resident Librarian program provides librarians transitioning from graduate study to professional practice an opportunity to gain practical experience and explore potential career options under the mentorship and guidance of experienced library professionals. The three-year program is responsive to the needs and goals of the Resident and offers many formal and informal ways to learn about the larger library. These can include job shadowing, co-teaching, collaborations, special projects, and even short-term assignments. Residents may decide to pursue a capstone project for their third year, e.g. a publication, formal presentation, or research project. Residents have a home base in the Learning Commons department which is made up of librarians, library technicians, technology consultants, and graduate students. Its services include: reference, instruction, technology and printing assistance, outreach and liaison, event planning and support, and development of campus partnerships and collaborations. The Resident will contribute to many of these services and will have opportunities to serve on cross-unit teams and projects. Resident librarians receive financial support for professional development and conference attendance. They may also receive funding for participation in programs designed to support and educate early career and/or librarians from underrepresented populations. 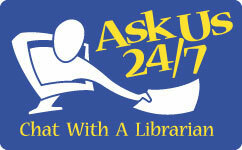 The SU Libraries will post Resident Librarian vacancies on the Syracuse University jobs site. Candidates must submit their applications there, as the Libraries do not receive applications directly. For more information about the program, feel free to contact Lesley Pease, Head of the Learning Commons.